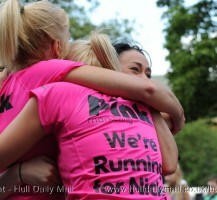 As a company, PINK Marketing, support UK charities and in particular, Cancer Research UK. The charity wants survival in the UK to be among the best in the world and they are focusing their efforts in four key areas – working to help prevent cancer, diagnose it earlier, develop new treatments and optimise current treatments by personalising them and making them even more effective. 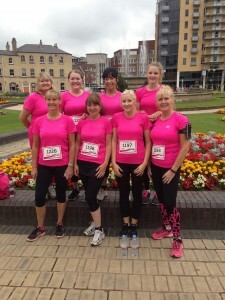 To raise awareness and support the Charity, Team PINK joined Cancer Research UK’s Race for Life 5k in Hull on Sunday 12th July. We chose to take part in this event in memory of a dear friend Nicky Tarn who has just lost an extremely brave 6 year battle with breast cancer and we have lost an amazing friend. Our Team was 8 strong and comprised walkers and runners – for many of them, it is the first Race they have ever run! Events like this are vital in funding Cancer Research UK’s life-saving work into preventing, diagnosing and treating cancer. By sponsoring us, we can unite and create an army that cancer can’t ignore. By sponsoring us, we will beat cancer sooner. 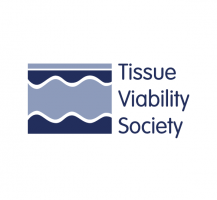 One of our not-for-profit clients – the TVS (Tissue Viability Society) has been selected to partner with EWMA (European Wound Management Association) for the 2015 conference. The conference is being held from the 13th-15th May at the ExCel, London. The conference theme is: Wound Care – Shaping the Future and is set to attract over 2000 delegates from Europe and with the TVS stream running throughout the main conference programme, many of the delegates will be from the UK. This is a fantastic opportunity for the Society and shows how it has grown and developed over the last few years. 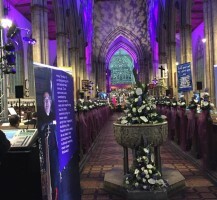 Plans for the transformation of Holy Trinity came alive at two spectacular launch events on Friday 7th November. The Archbishop of York, Dr John Sentamu, and the Chair of Hull UK City of Culture 2017, Rosie Millard, were amongst many business and council leaders encouraging the people of Hull to raise funds for the redevelopment and with performances from Opera North, Skelton Hooper, Aspire Gymnastics and the Hull University, the events were certainly one to remember! To read more about the transformation and how you can become involved, please visit the Holy Trinity Website. How can we help you become more successful? Uncategorized • Comments Off on How can we help you become more successful? Check out our Resources section! 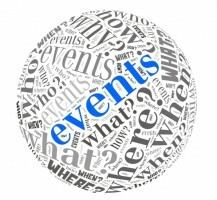 We have created an Events Checklist which is a great tool for anyone out there planning any type of event from big to small. We have fabulous experience managing events all over the globe and of every shape and size. Get in touch if you need to chat about a project you are planning. 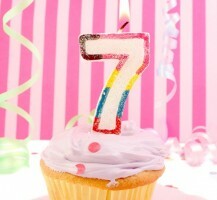 We are 7 – Happy Birthday Pink! Uncategorized • Comments Off on We are 7 – Happy Birthday Pink! It’s our birthday and we would like to thank all our clients, friends and family for the support over the past 7 years! We are tickled pink to work with a huge range of organisations and individuals and long may it continue! Following the success of last year’s conference, the event is taking place again on Wednesday 8th October at the Pavilions, Harrogate. Delegate registration is free and with some fantastic keynote speakers and exhibitors, it is a great networking opportunity not to be missed! 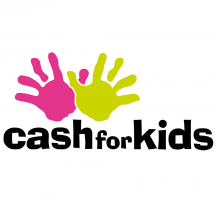 A family fun day is being held at the Blackburn Leisure Club, Brough on Saturday 30th August to raise money for Viking FM’s Cash for Kids Charity. The event is being held in association with the Herbalife Family Foundation and Pink are proud to support this local charity. Bring your children along for a full range of activities and once the day is over, why not join them for an evening of live entertainment with a bar, disco and auction.